The SD8-24 is a particularly versatile console with the same Stealth Digital Processing and floating point Super FPGA technology seen in the flagship SD7. It offers a truly superlative performance at a competitive price and comes in an even smaller footprint than the SD8, something which will appeal to engineers across the board. 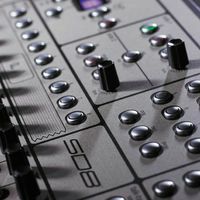 The SD8-24 has all the same power and functionality as the 37-fader SD8, but in a smaller frame, comprising 24 main channel faders and a master fader. At the heart of the console&apos;s worksurface is a 15-inch, high resolution TFT LCD touch screen with backlit display. 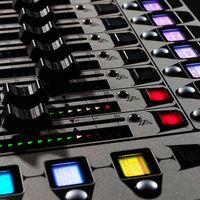 Through this user-friendly interface, any bank of 12 faders can be instantly assigned as input or output channels, allowing all 24 main faders to control inputs if desired; equally, any bank of 12 can also be assigned to the touch screen for fine-tuning. In addition, the SD8-24 benefits from dedicated multi-function control knobs and electronic labelling. Like the SD8, the SD8-24 boasts 60 processing channels at 48kHz/96kHz, all of which are Flexi Channels (configurable as either mono or stereo), which is the equivalent of 120 channels of full DSP processing. Standard channel processing, whether inputs or outputs, includes Channel Delay, Single and Multi Channel Presets, Dual insert points, Hi- and Lo-pass filters @ 24dB/octave, four-band parametric EQ with band curve selection, DiGiCo&apos;s DYN 1 (Compressor, De-esser or Multi Channel Compressor) and DYN 2 (Gate, Compressor or Ducker). The console also benefits from 10 Dynamic EQ processors, all of which can be assigned to any of the input or output channels. These powerful processors offer dynamic processing on each of the four standard parametric bands, plus there are also10 Multiband Compressors and 10 DiGiTubes; and no matter how the console is set up, the user won&apos;t lose any resources, as all the channels are equipped to provide the same high quality signal path and feature set. The master section incorporates 24 gangable 32-band graphic EQs, 12 stereo effects (selectable from a palette of 33), and 12 control groups (VCAs); and using snapshots, engineers can now switch between complete configurations in any live environment easier than ever before, be it at rehearsals, during system setup, or even at a show. In addition, we&apos;ve included 24 Flexi busses, all of which are assignable as mono/stereo groups or auxiliary busses; and in addition to these busses, for further configurability, we&apos;ve provided a 16 x 12 output matrix, dual solo busses, and a Master buss.  Essentially, users have the equivalent of 67 busses of DSP at their disposal. Unlike all other digital console manufacturers, you don&apos;t lose Aux or Group Busses when using the Matrix as they are in addition, including the Master buss. The SD8-24 has exactly the same local I/O as the SD8: eight mic inputs, eight outputs, eight mono AES I/O, and two MADI connections. 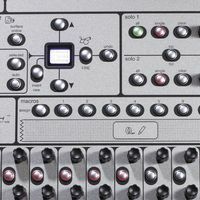 The console comes as standard with a MaDiRack which is an 8U fixed 48 input with eight analogue outputs, with the ability to increase these outputs to 24 with any combination of analogue AES/EBU or Aviom. 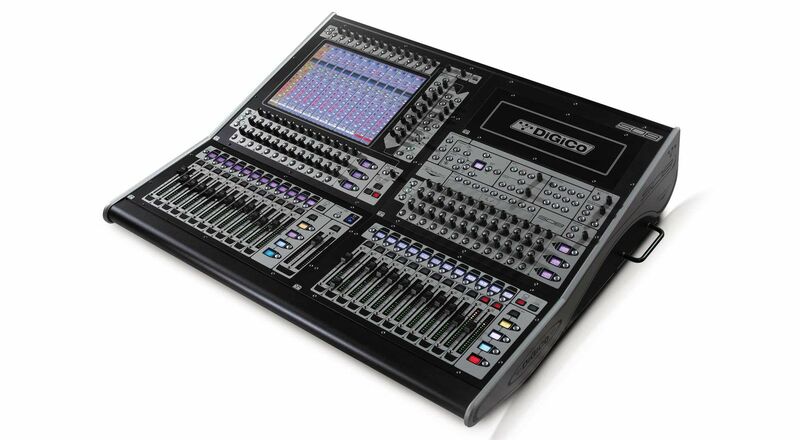 As with all DiGiCo consoles, it can also connect to an SD-Rack, an SD-Mini, and SD-Nano Rack. 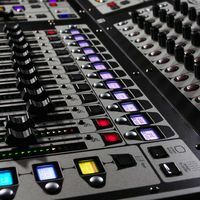 There is also a factory fit Optocore option which allows for connectivity to all DiGiCo racks and consoles in a redundant loop. 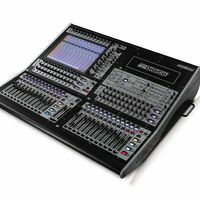 In addition, there is an optional DiGiCo SoundGrid module which, when linked to an external PC server such as SoundGrid or DiGiGrid, provides the user with instant access to 16 fully integrated low-latency Waves stereo Multi Racks, each with the ability to have up to eight plugins per rack. That&apos;s 64 I/O - and as you&apos;d expect from DiGiCo, this is all additional I/O. All Waves compatible plugins are pre-loaded, and as this is integral within the console, you have the added advantage of touch screen control; and all shapshots and session files are saved within the console. DiGiCo는 디지털 믹서 시장의 최강자로 타 디지털 믹서 제조사들과는 차별화 된 제품을 공급하고 있습니다. 최고급 아나로그 믹서 이상의 자연스러운 음질을 제공할 뿐 아니라 편리한 사용자 인터페이스는 아나로그콘솔에 익숙한 사용자라면 반나절 정도의 시간 투자만으로 바로 사용이 가능할 정도로 친숙한 사용자 환경을 제공합니다. Digico는 강력한 리던던트 기능을 제공하고 있으며 함께 제공되는 Mirroring 기능은 공연시 소리의 끊어짐이나, 셋팅 상황의변경없이 완벽한 리던던트 기능을 발휘합니다. 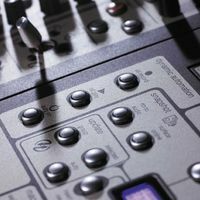 또 1대의 Stage box 입력을 2대의 콘솔이 공유하는 Rack Sharing 기능은 Optic Loop와 auto gain tracking 기능을 함께 제공하여 2대의 콘솔이 서로에게 영향을 주지않고 독립적인 Gain 조절을 가능케 해줍니다. 이러한 강력한 기능을 가장 저렴한 가격으로 소비자에게 제공해주는 것이 Digico만의 장점입니다.